Home /Juice: Healthy or Harmful? Juice is a staple in many diets, and juicing only continues to gain in popularity. Common health claims for drinking juice include cleansing/detoxifying, weight loss, boosting energy, and building a stronger immune system, among many others. While these claims may sound great, it is important to be informed about the truth of how juice impacts your body before drinking it on a daily basis in pursuit of better health. It may come as no surprise that artificial juices (without any actual fruit) are loaded with sugar, artificial colors/flavorings, can lead to weight gain, and increase the risk of developing diseases such as type 2 diabetes. However, what most people do not realize is that 100% fruit juice may be posing some of the same risks, even if you take a fruit and juice it yourself at home! Believe it or not, freshly squeezed fruit juice and soda can have a similar effect on the body. You read that correctly. Pure fruit juice, although it does contain vitamins, minerals and phytonutrients, also provides a concentrated source of sugar, known as fructose, without any of the fiber you would normally get from the skin of the fruit. The average amount of fruit juice that people drink is equivalent to over 10 teaspoons of sugar! All of that sugar without any fiber causes a rapid rise in blood sugar, which then requires the production and release of insulin. Insulin helps get sugar out of the blood and into the cells where it can be used for energy. However, insulin is the “fat storage hormone” and when you have a surplus of energy in the form of sugar, insulin will be sure to turn that sugar into fat. Do you have excess fat around your belly? If so, that is a sign that you may have too much insulin in your body, and the fruit juice is only making it worse. In the strictest sense, fruit juice should be considered a dessert. So, skip the juice and eat the piece of fruit instead, skin and all! If fruit juice isn’t a great choice, does that mean ALL juices are a problem? The fortunate answer is no! Vegetable juices made with non-starchy vegetables can be a great way to get a concentrated source of vitamins, minerals, antioxidants, and phytonutrients. Vegetables and spices such as cucumber, celery, spinach, parsley, and ginger are great examples of ingredients that could make a nutrient dense, low-sugar juice. If you do not have issues with blood sugar imbalances such as type 2 diabetes, a small amount of green apple can provide just enough sweetness to balance it out without overloading the body with sugar. It is best to have your juice with a meal that contains fat so that your body is able to absorb fat-soluble vitamins from the juice. Unless you are on a fiber-restricted diet, I do not recommend vegetable juice as your primary source of veggies. Although it is a great addition to a whole food, nutrient-dense diet, remember that juicing strips vegetables of all their fiber. Fiber is crucial for a healthy gut, detoxification, cardiovascular health, balancing blood sugar, and promoting a healthy weight. So, I suggest you focus on getting plenty of vegetables with your meals and then enjoy a vegetable juice for an extra nutritional boost! “Greens”= spinach, bok choy, chard, collard greens, parsley, cilantro, etc. 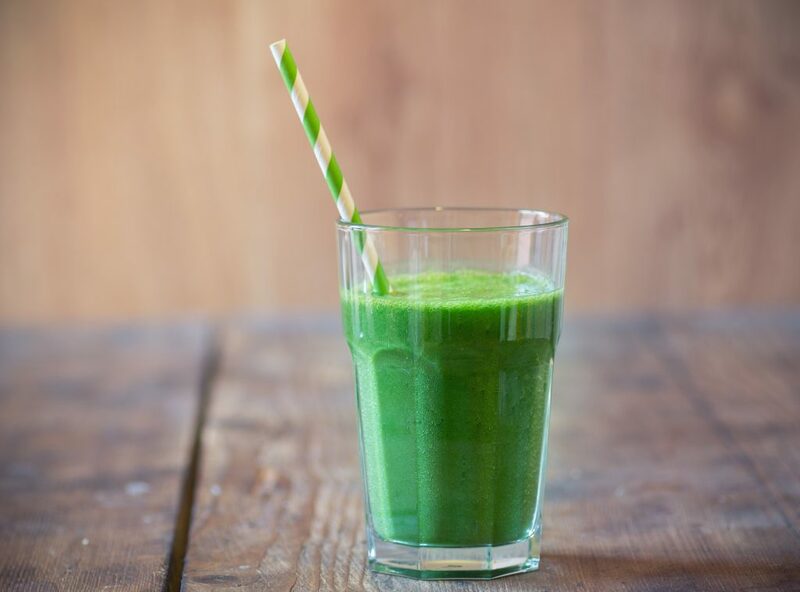 This recipe is an easy introduction to making your own vegetable juices at home and it’s a great way to transition out of a dependence on fruit-based, sugar-laden juices. Once you feel the difference of these green juices you’ll never want to go back to the overly sweet store-bought ones. Sip to your good health!